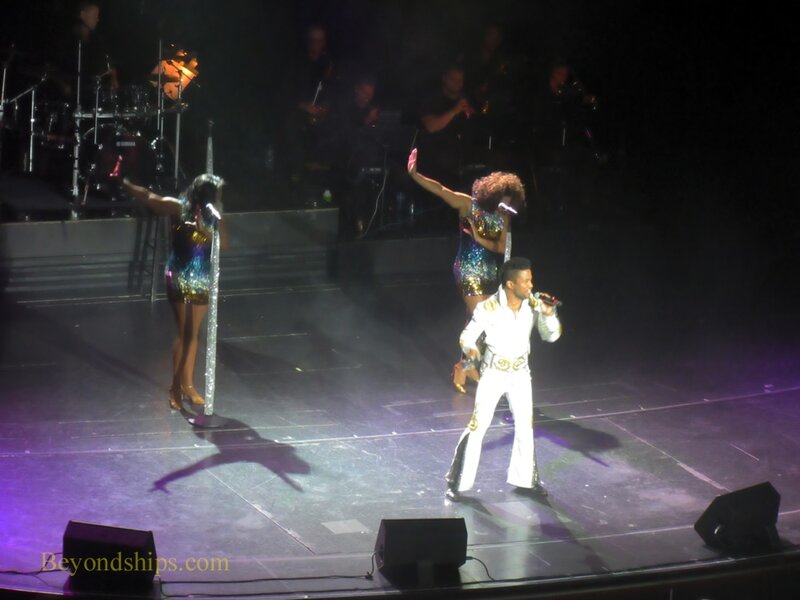 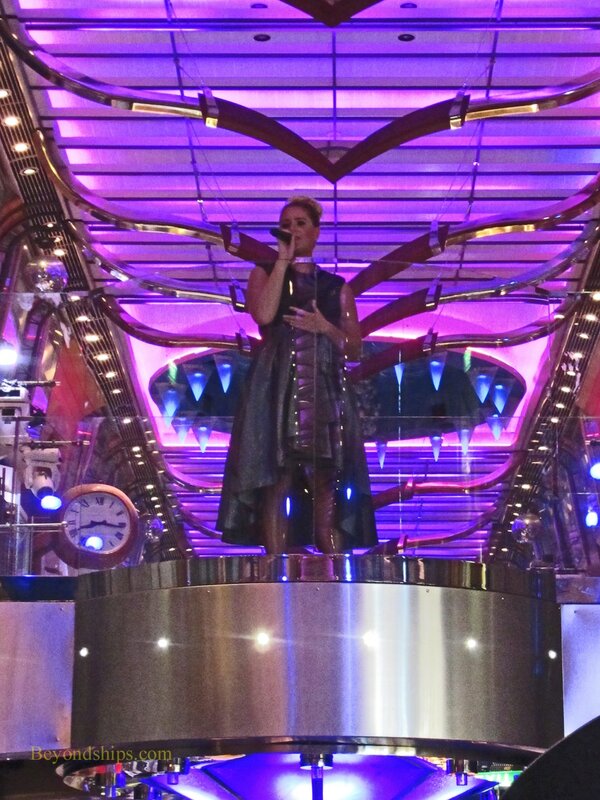 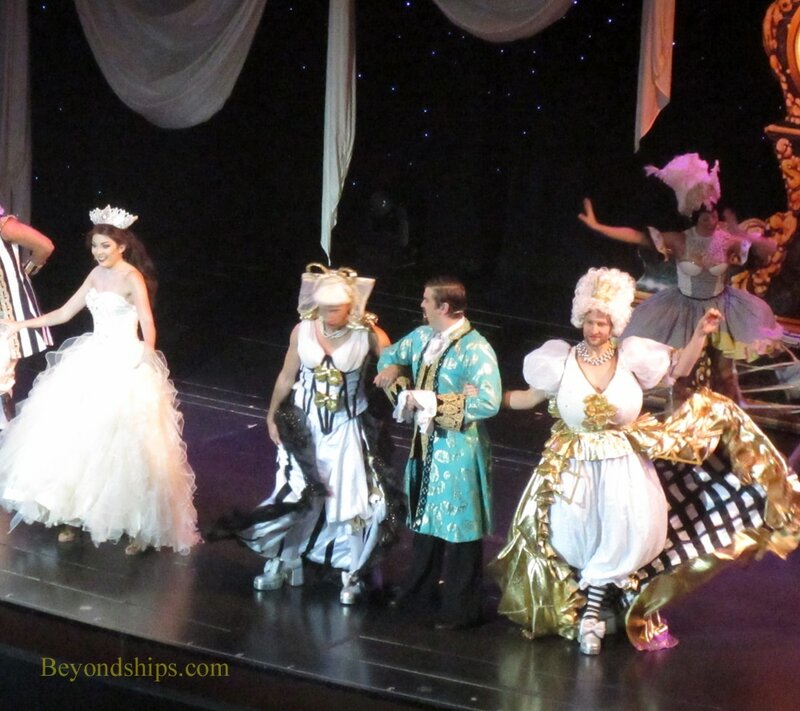 Left and below: Production shows featuring the Royal Caribbean Singers and Dancers. 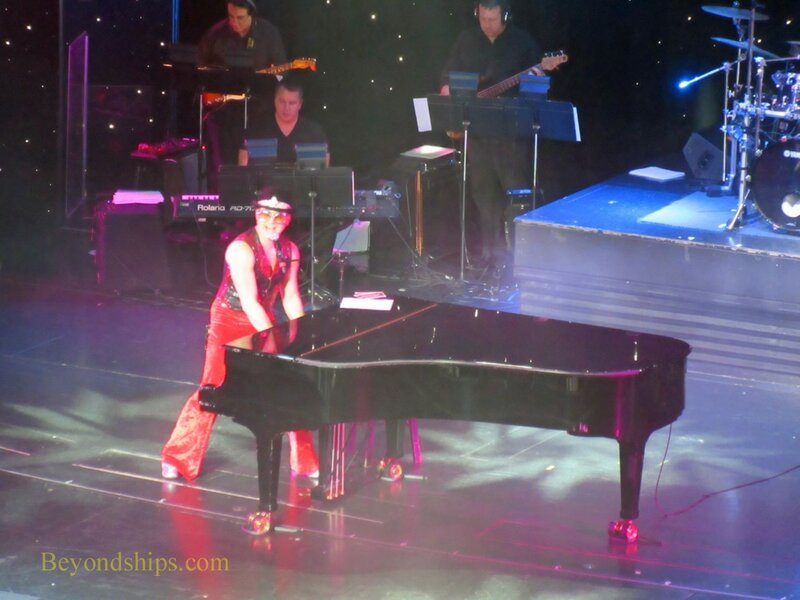 Visiting performers in the theater: Marcus Terell & The Serenades (above left) and Craig Meyer doing a tribute to Elton John. 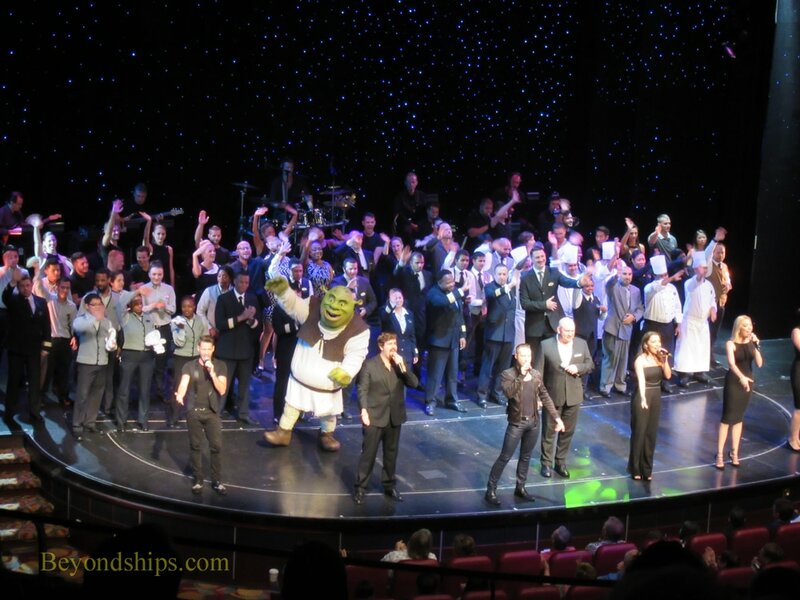 Officers and crew come onstage on the final evening to sy farewell (right). 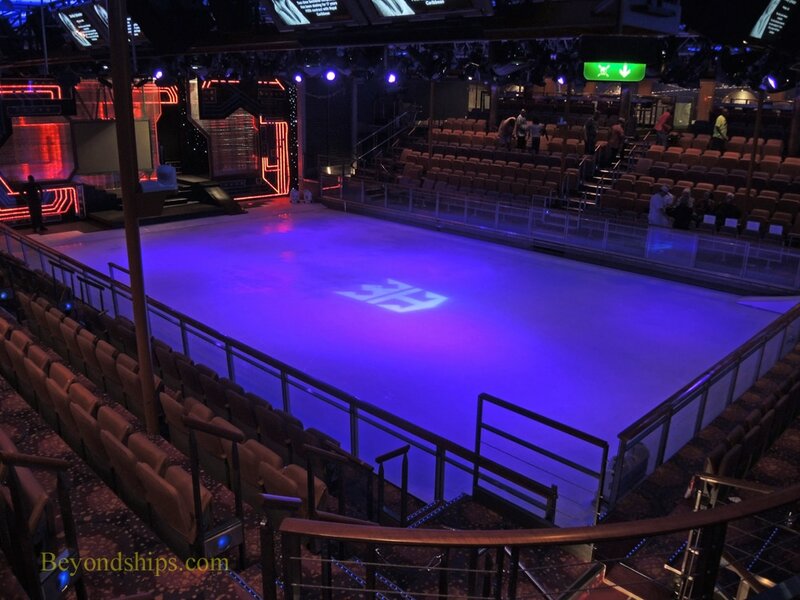 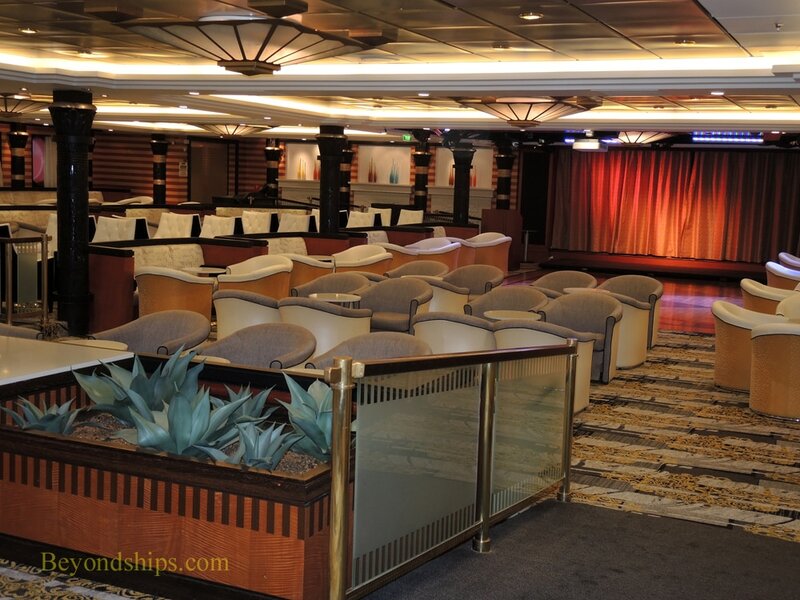 Studio B encompasses the ship's ice rink also called Center Ice. 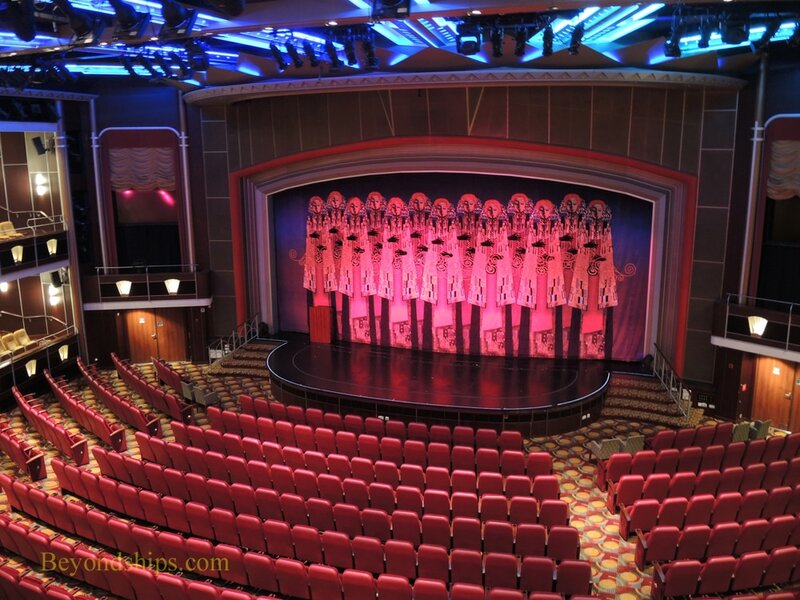 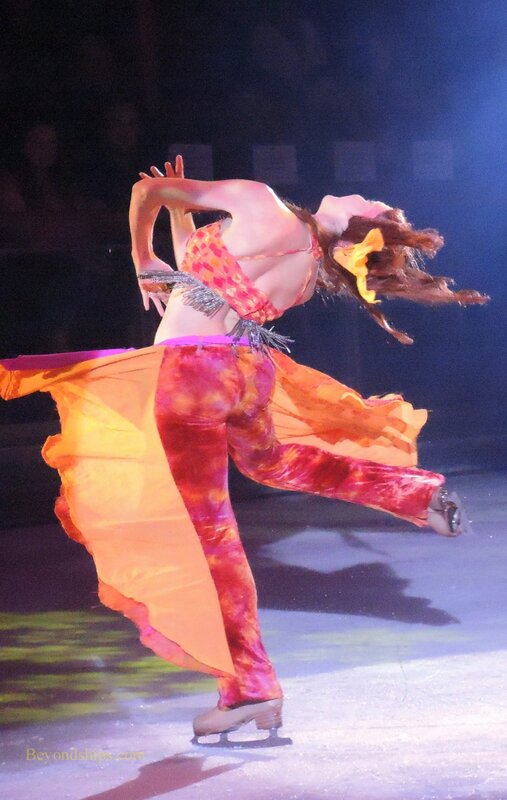 It is used for ice show performances as well as by ice-skating passengers. 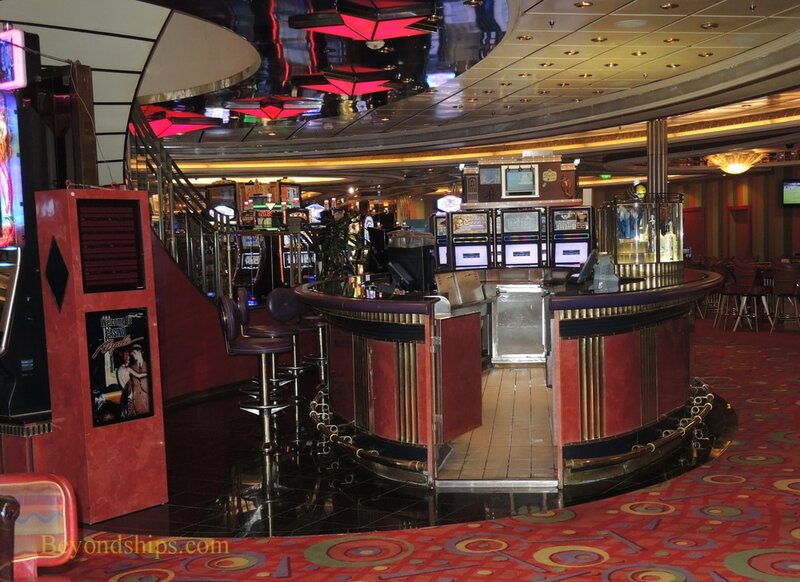 In addition, the ice can be covered and the area used for parties, concerts and Royal Caribbean's often outrageous game show The Quest. 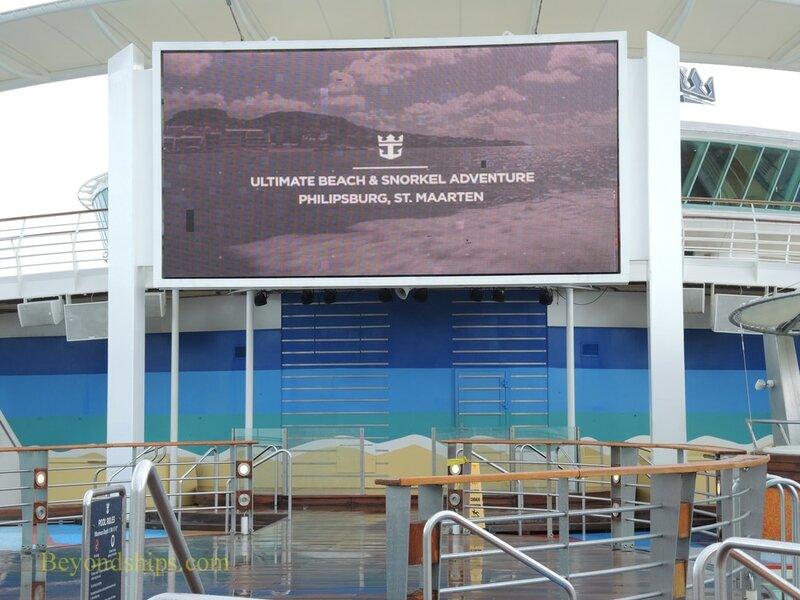 In the main pool area, the Big Screen shows movies and othe video presentations. 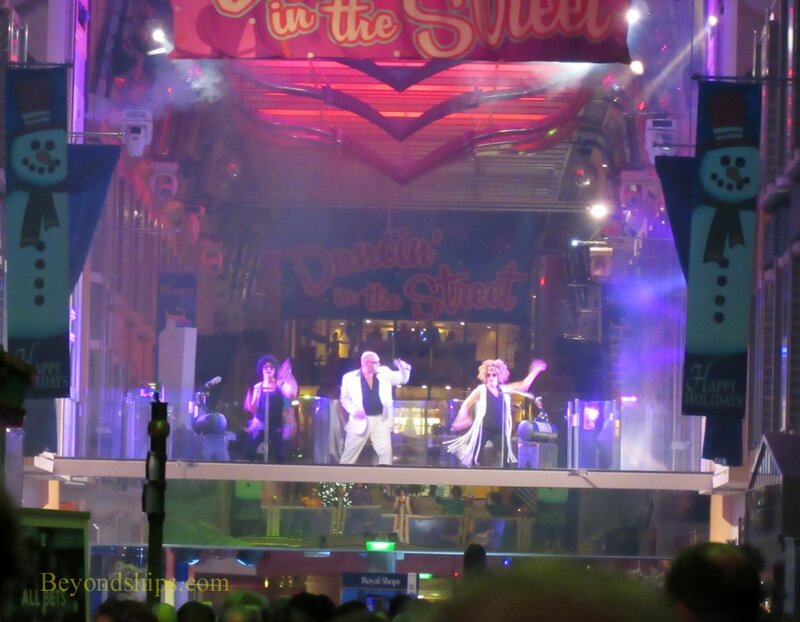 The Royal Promenade is also an entertainment venue with parades, individual musical performances and themed street parties. 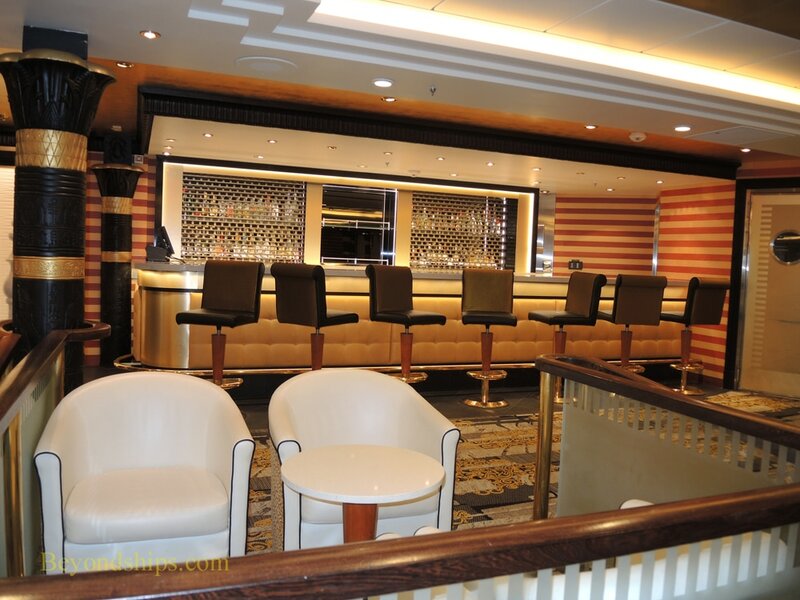 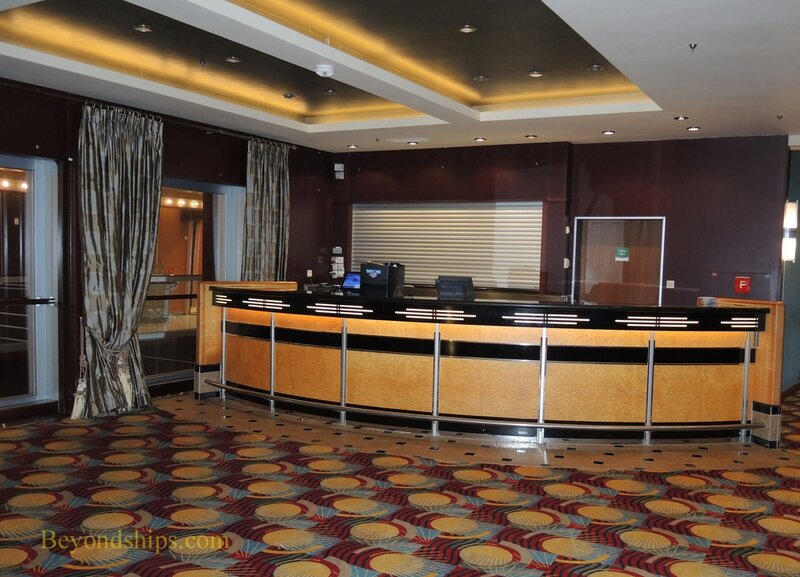 The Star Lounge is a large lounge that is used for receptions, theme parties and karaoke. 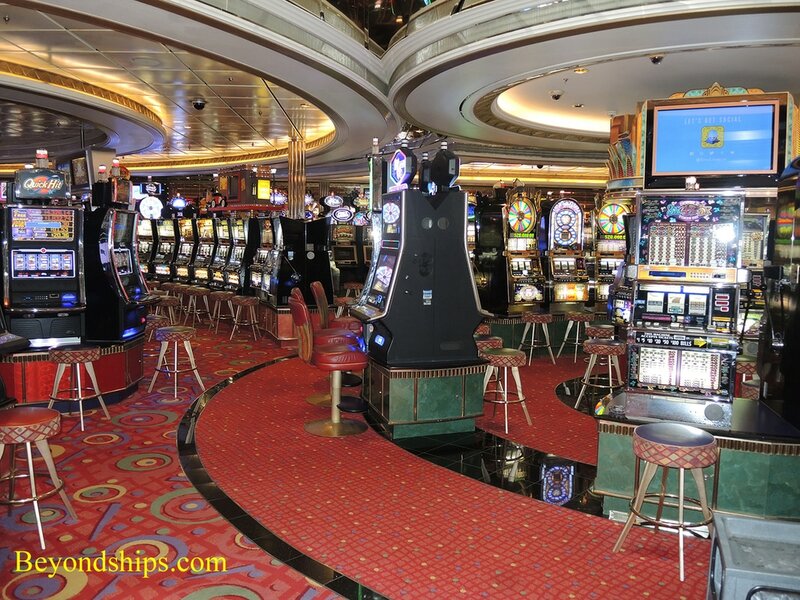 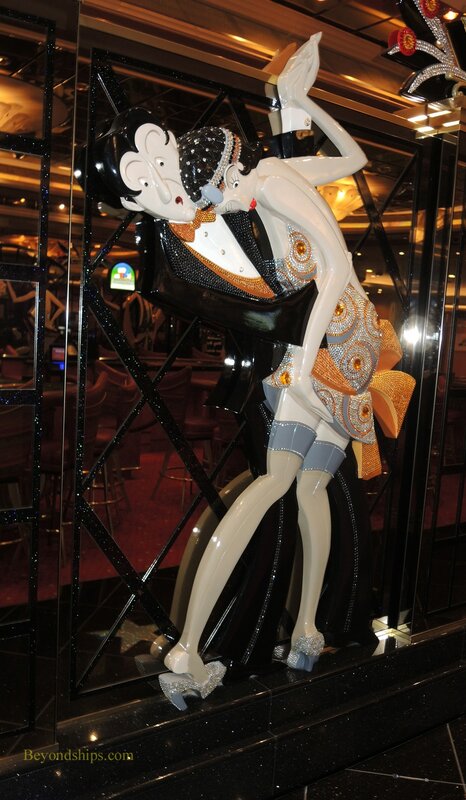 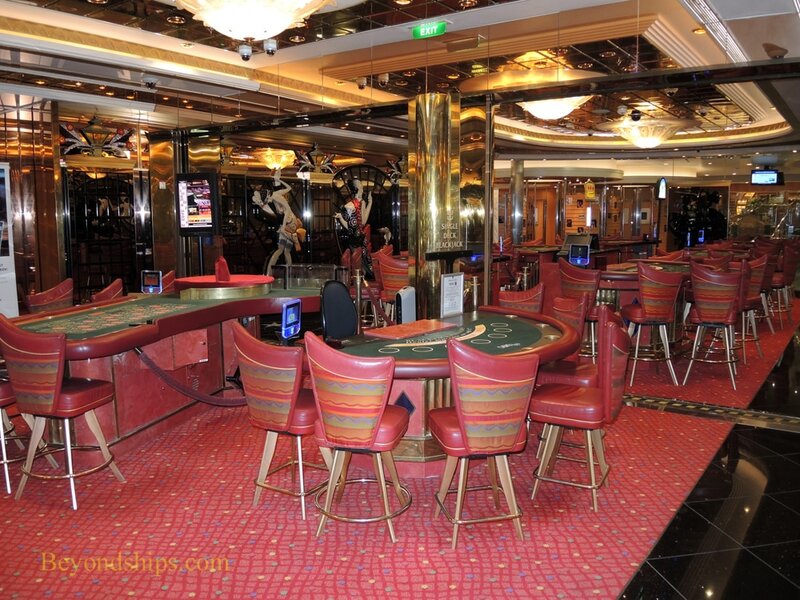 Casino Royale is a large glittering casino with gaming tables, slot machines and its own bar.